Designed by Carolyn Kinder International, the Waylon Accent Chair is casually sophisticated. 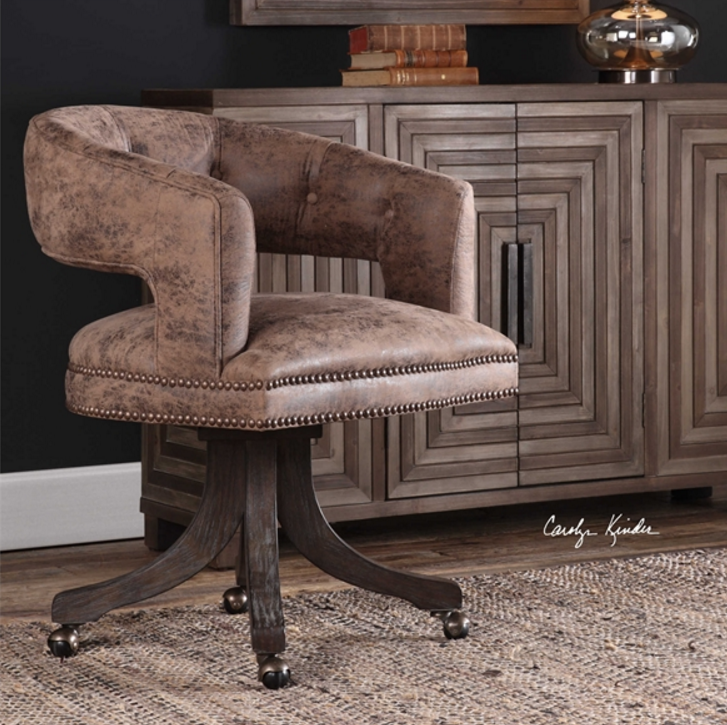 This open style barrel back accent chair features button tufted accents with individually hammered antique brass nail head trim in a distressed cocoa brown fabric. The splayed hardwood swivel base is finished in dark walnut complete with rolling casters. Seat height is 21″.